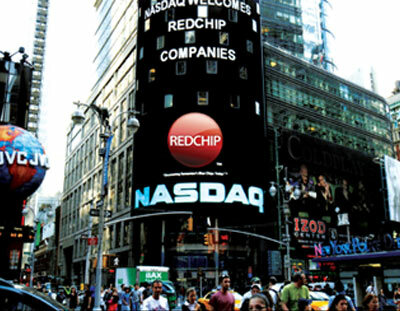 RedChip is the world leader in investor relations, financial media, and research for microcap and small-cap stocks. Founded in 1992, and headquartered in Orlando, Florida, with affiliates in New York, Pittsburgh, Dallas, San Francisco, Paris, and Seoul, RedChip has helped hundreds of companies achieve their capital markets goals and has been ranked by Inc. Magazine as one of the fastest growing privately held investor relations firms in the U.S.
Our unique platform combines traditional investor relations services with multi-media marketing. Our weekly TV show, the RedChip Money Report™, airs on American Business Television on the Family Channel, reaching more than 100 million homes across the U.S. each week. The show also airs on Bloomberg International biweekly in 149 million homes. 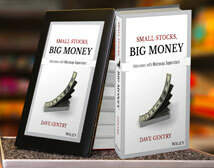 The show features interviews with CEOs of public and private companies, analysts, portfolio managers and other industry experts. Our targeted retail and institutional platform reaches hundreds of thousands of investors worldwide through company webinars, institutional and retail broker groups calls, newsletters and more.